Get Intensive White Skin! | Vanity and Everything in Between. Dr. Vicki Belo has not earned the reputation of pioneering the best and the most sophisticated breakthrough products and treatments for skin health and long-lasting beauty for nothing. She has been in the industry long enough to establish that unquestioned and unsurpassed credibility that catapulted her to be the country’s premiere beauty expert and cosmetic doctor whom everyone looks up to for her authority and unbridled talent. She caters to the stars and the general public alike, both spheres enjoying parallel care and utmost importance in all her clinics. Take the case of her latest product innovation on skin whitening called Belo Intensive Whitening (Kojic Acid + Tranexamic Acid). This whitening product range boasts of a unique combination of today’s two most powerful whitening actives – Kojic Acid and Tranexamic Acid. 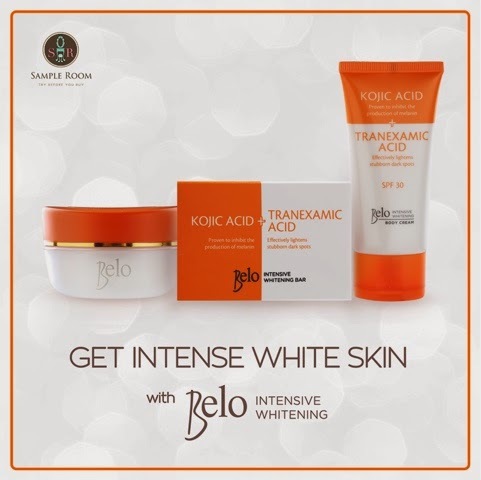 As soon as the line’s first product, Belo Intensive Whitening Bar (for the face and body), was launched, it has already taken the country by storm, proving that Belo’s product is indeed, 64% more effective than other products with Kojic Acid alone, as evidenced by clinical studies conducted. The next two products that were recently introduced are Belo Intensive Whitening Body Cream (lotion) and Belo Intensive WhiteningFace&NeckCream. Bothproducts have SPF 30 for protection against UV rays, and are guaranteed hypoallergenic. Like the face and body bar, prepare to be blown away by the products’ classy and long lasting scent, something that users have been pointing out. 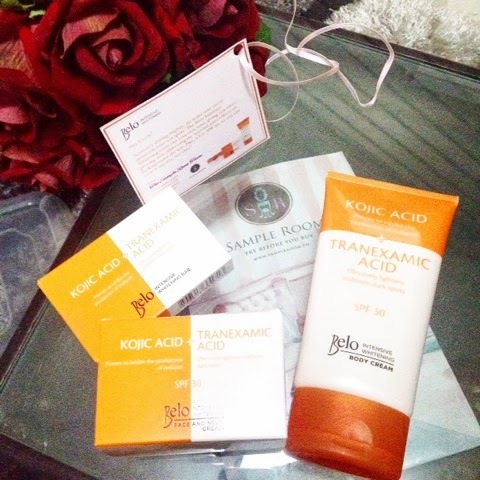 I received my Belo loot from Sample Room last Friday. I've tried the soap before and it really works! It lightened the dark spots on my face and some of my stretch marks on my legs. When I found out that they released new products which were the body and face creams, I was hoping they would partner would Sample Room again. And I'm glad they did! I get to try it again for absolutely FREE. 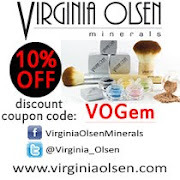 Just head over to Sample Room to get samples of these products for free. 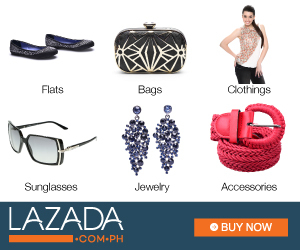 The only thing you're going to pay for is the minimal shipping fee. This soap is life changing! I can't remember using a soap that effectively lightened my skin in a matter of 3 days! Is it normal ba? I'd been using whitening soaps naman before I tried this belo but hindi naman sila ganun kadry. It's good thing Belo released lotion and cream for this line. The last time I used their soap kasi it's hard for me to use different brand of lotion. Based on their instruction na din that you need to stop using other brand to make the soap more effective. I'm hoping that you do a detailed review about this line. I really want to know if it works and what are the side effects you experienced. Thanks for sharing this to us! I agree that it ligthened skin easily although it's so drying for me. Didn't know id it's normal though?! I tried the whitening soap but I only got small pimples on my forehead and chin. With regard to the whitening properties, it did make my skin a shade lighter.